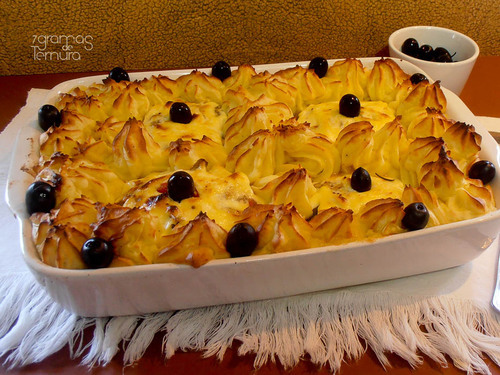 One of my favourite meal and way of prepare Salt cod (because there are a lot of way to do it.) 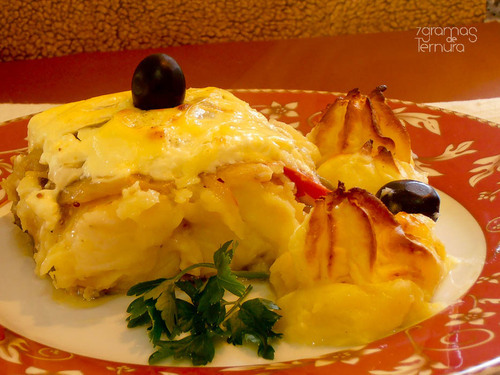 This is also one of the meal of Portuguese wedding. It is very current and so good ! Don't forget to desalinize the fish during the day before eating it. !!!!!! for the crunchy but we don't, because it's too greasy.